Kate Murdoch has exhibited widely as a painter both in Australian and internationally before turning her hand to writing. Her short-form fiction has been published in various literary journals in Australia, UK, US and Canada. 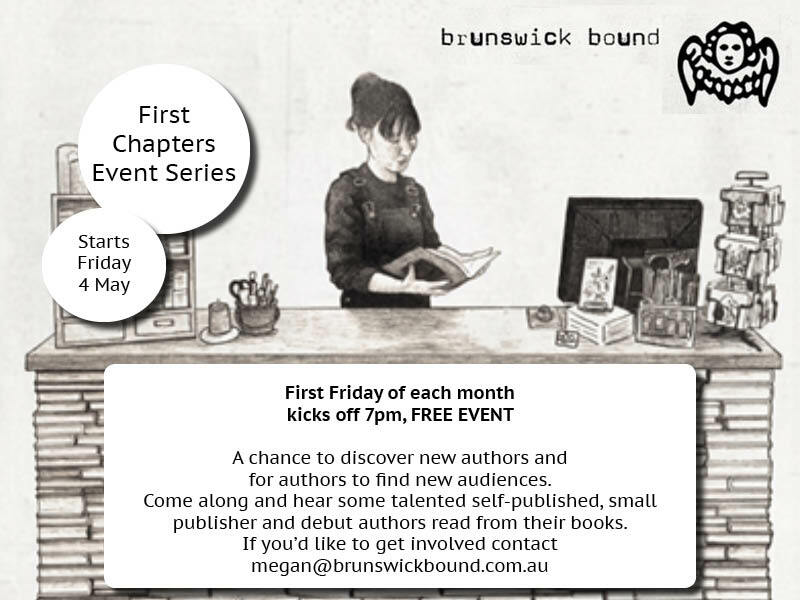 Kate will be reading at First Chapters on Friday 2 November. 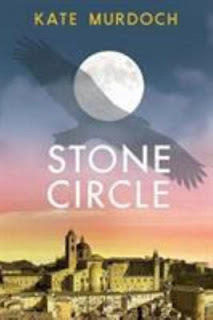 She will be reading from Stone Circle, a historical novel set in Renaissance Italy. We asked Kate some questions to get to know her better. Here's what she said. My protagonist Antonius, after months of torment from his rival Nichola, decides to enact revenge. Using a spell, he changes into a strange beast and sneaks up on Nichola as he lies sleeping. Nichola wakes and is terrified. It's the one time in the novel where Antonius turns the tables on Nichola, and he is excited to practice his new skills in magic and alchemy. In writing historical fiction I enjoy immersing myself in worlds that are both similar and different to present day. Creating authentic settings is both challenging and satisfying. Visual detail is important to me with my background as a painter. At the same time, I'm fascinated by the way peoples' actions are influenced by past traumas, how morality can be ambiguous, and how love motivates, heals and connects. I was a huge Enid Blyton fan as a child, and was a little obsessed with The Magic Faraway Tree - it did what all the best books do in transporting me to another place. In my teens I read widely - Naomi Wolf's The Beauty Myth, Truman Capote's A Capote Reader and Charlotte Bronte's Jane Eyre. My reading habits were notable only in their diversity. This has remained the same throughout my life. 4. Do you believe that books should answer life's big questions? Yes. Of course, the questions that interest me aren't going to be the same for everyone, but I'm always curious about human motivation and the complexity of emotions existing within us. Sometimes it's difficult to understand our own actions, let along those of others. In the novel form, these questions can be explored in depth. For example, it's interesting to me how behaviours are driven by a desire for love and acceptance, and how a lack of these things can lead to all kinds of chaos. 5. What's your go-to solution for writer's block? Research is a solution - I often stumble across details that give me a new plot point or setting. Reading good books also kick-starts my own writing because I'm inspired by another author's prose. To spend time in nature is another trick - it clears the mind and allows creativity to return. My editor tells me my characters are forever narrowing their eyes. Author. Still gives me a thrill. Whilst I love exploring my own reactions to events in my life through fiction, I write fiction rather than memoir for a reason. The reason is that I'm generally not comfortable talking about my personal life. That being said, if it's an aspect of my life that's very pertinent to the novel, I'd happily answer. It really depends. See below. I would like to be asked about the place of women in Renaissance society, about alchemy and how it resurfaced during this period in Italy and how my own explorations into different spiritual practices influenced the writing of this novel. My favourite novels are fairly well known. One potentially lesser-known novel that I adored was The Inheritance of Loss by Kiran Desai. Check out the Brunswick Bound website to find out more about First Chapters.